One way to ensure a Happy Birthday, is to have it during an epic family vacation and to have great family photography to make it last forever. You would never know that the day of this families beach photography session mother nature was brewing up a cup a foul weather. The storm clouds were gathering over Gulf Shores but the Eagan’s, Garvy’s, & Vogt’s, came to enjoy an epic vacation and celebrate a birthday as well. 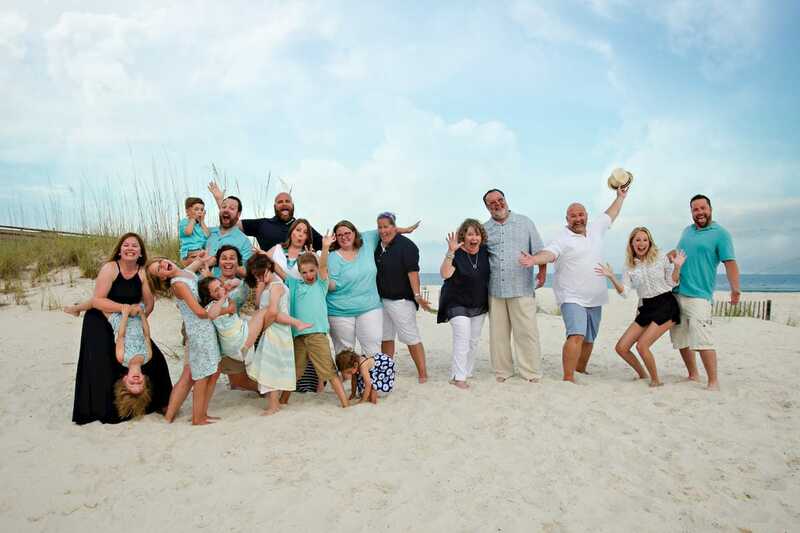 They came to Gulf Shores, they conquered their family photography session, and they will have great stories to tell as well as a photograph or two..whew! 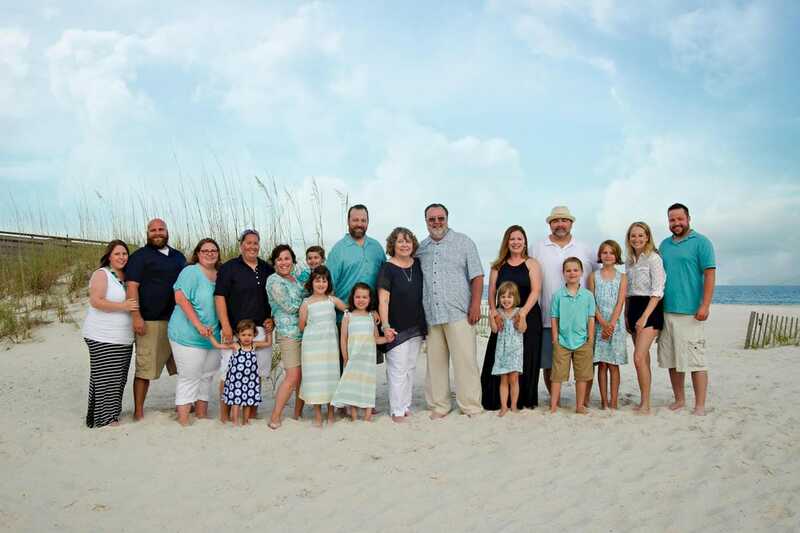 This family tradition of getting together and traveling in from the northeast to reconnect with the gulf coast and enjoy their growing clan is impressive to say the least. We hope to see this incredible family again and again! There’s a little one on the way as well as many more birthdays to be celebrated. Looks like this won’t be the last family vacation beach portrait not by a long shot. What a great way to remember your family time. The changes from year to year. The addition of little ones and their initiation to the beach. Vacation Beach Portraits are just one way to make your vacation last forever. We hope they keep their family vacation tradition alive for many years to come.